Nsilulu Tresor Mbungu is designing an adaptable smart metering system for electrical system applications. His research aims to develop a sustainable energy approach by creating optimal control behaviour, which can be implemented inside or outside intelligent meter devices. The global power supply faces many challenges to keep up with the ever-increasing energy demand, whilst at the same time assuring sustainable development. Temperatures are rising, and conventional energy resources, such as coal, natural gas and oil are in decline. Simultaneously, more than 1.2 billion people still do not have access to the electrical grid globally. This is also the case for a significant number of people in the African continent and the Democratic Republic of Congo (DRC), the home country of electrical engineer Tresor. This developing country is one of the most precious in the world concerning potential mineral and renewable resources, which can support the sustainable development across the earth. Tresor believes that smart grid technology is the answer to several deficiencies in the electrical system, not only in the DRC, but for communities throughout the world. In his research on the smart grid environment, Tresor aims to create a new generation of the intelligent metering system to improve the efficiency of energy flow on the network. This consists of optimally integrating renewable energy, minimising production costs, operation and consumption on the demand side and reducing atmospheric emissions levels from conventional electrical grids. With the improvement of energy flow, Tresor will at the same time combat global, social and economic problems in the energy sector. 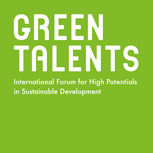 He believes that winning the Green Talents award is an opportunity to learn new strategies of sustainable development, improve his work through meeting experts and provide him with a strong background for his career, from which people can benefit in the future. The jury acknowledged the considerable relevance of Tresor’s research and his passion for this subject. 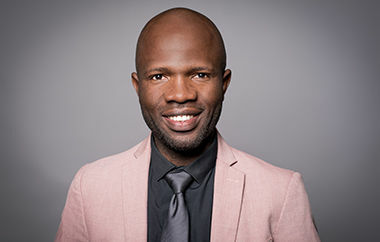 His work will not only provide profit to the population in the DRC, but to communities all over the world. The optimisation of future energy growth is an important Sustainable Development Goal and a challenging task for the current and the future generation.